Lecture 10 Feb 1 2006. 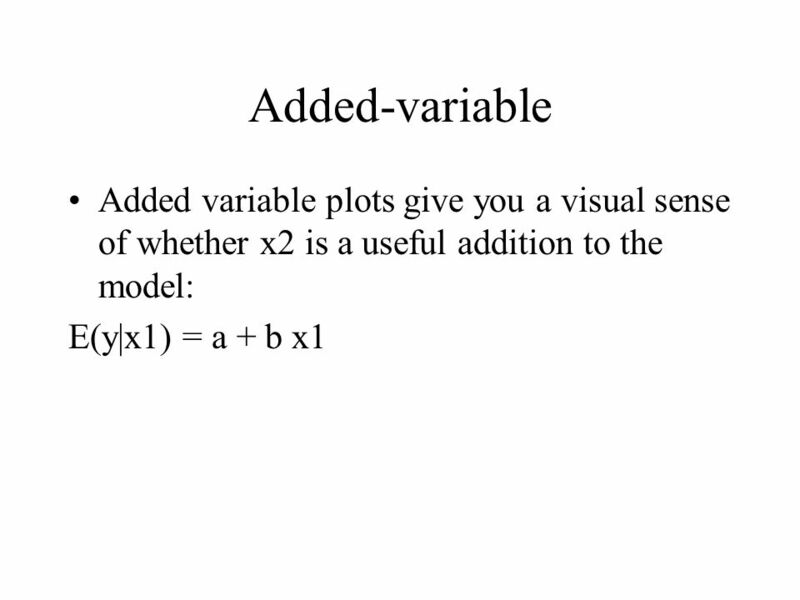 Added-variable Added variable plots give you a visual sense of whether x2 is a useful addition to the model: E(y|x1) = a + b x1. 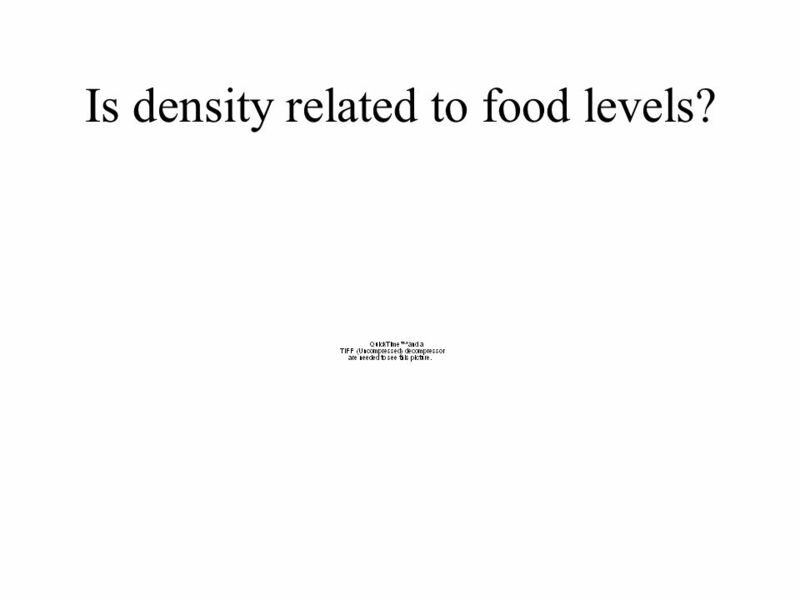 7 Is density related to food levels? 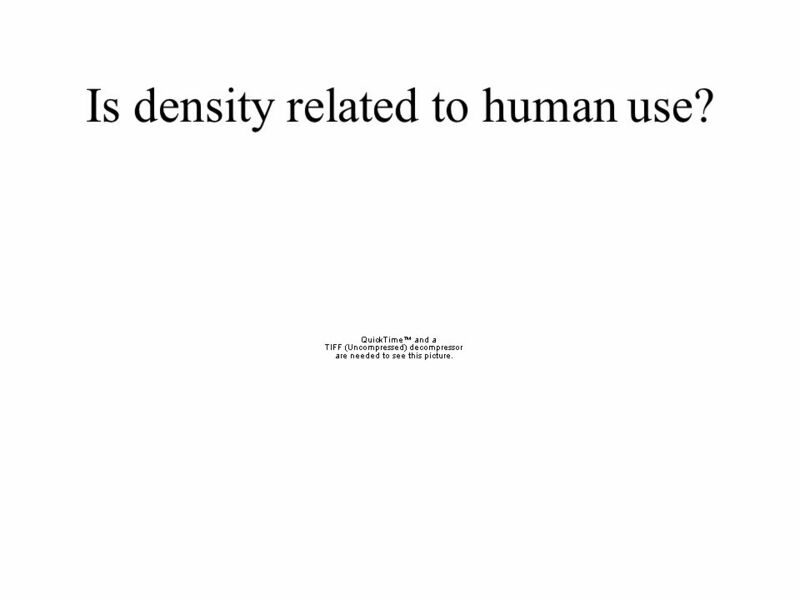 8 Is density related to human use? 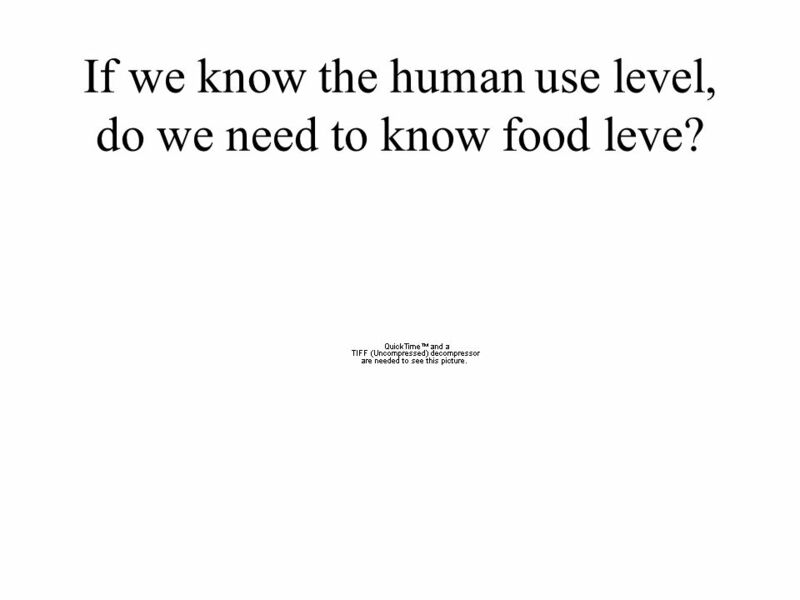 9 If we know the human use level, do we need to know food leve? 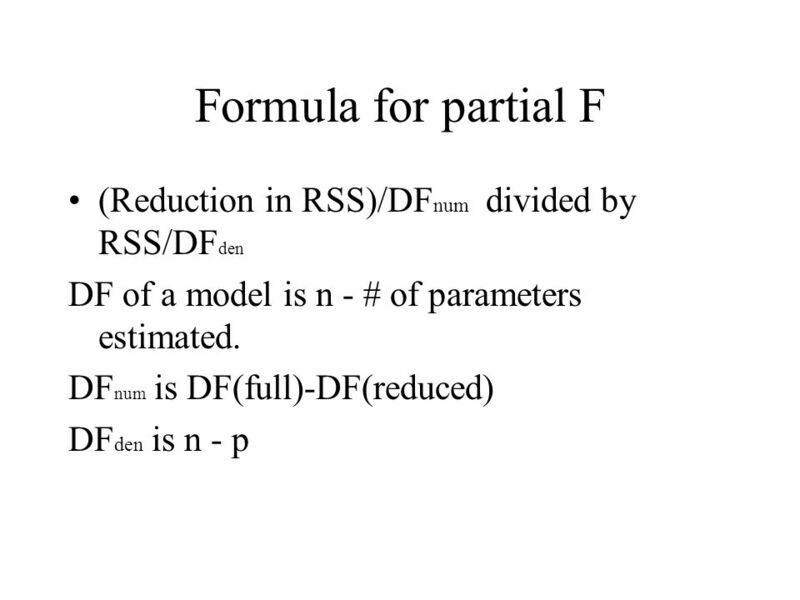 14 partial F-test Compare RSS (full) with RSS (reduced) Note: RSS(reduced) will be ???? 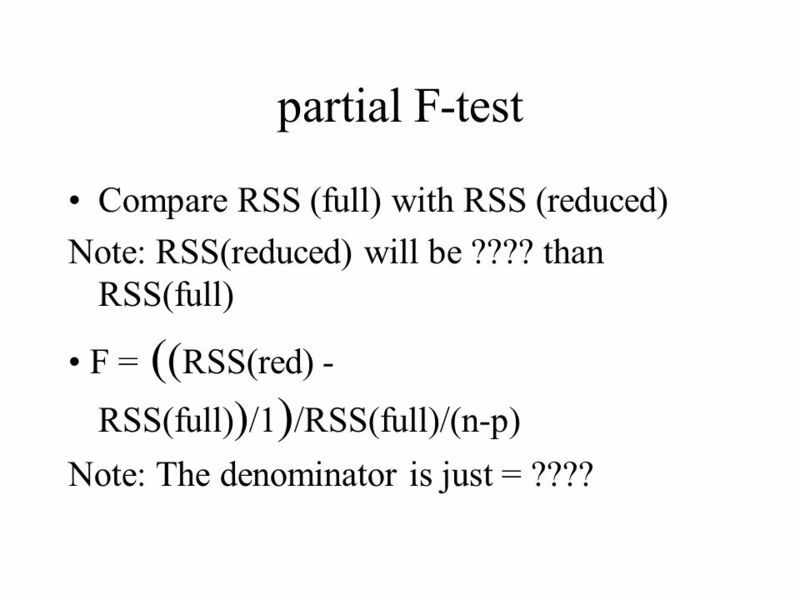 than RSS(full) F = ( ( RSS(red) - RSS(full) ) /1 ) /RSS(full)/(n-p) Note: The denominator is just = ???? 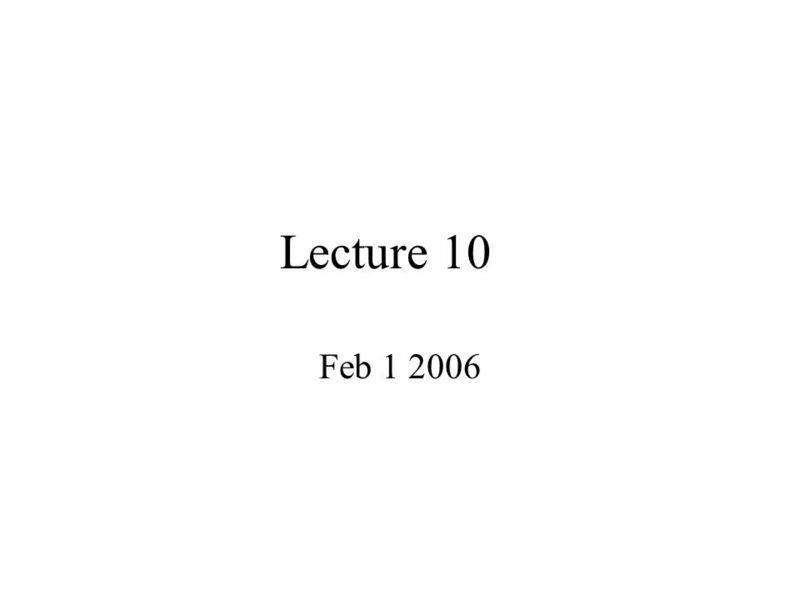 Download ppt "Lecture 10 Feb 1 2006. Added-variable Added variable plots give you a visual sense of whether x2 is a useful addition to the model: E(y|x1) = a + b x1." 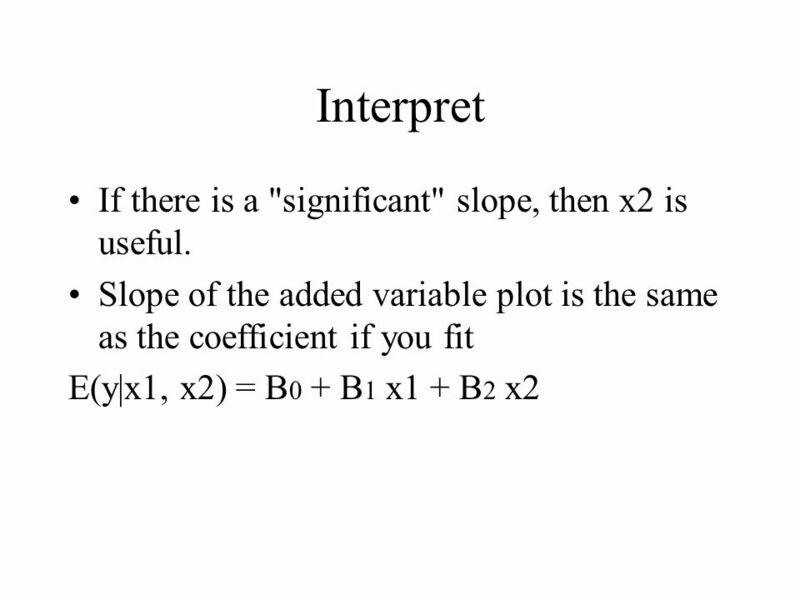 Lecture 10 F-tests in MLR (continued) Coefficients of Determination BMTRY 701 Biostatistical Methods II. 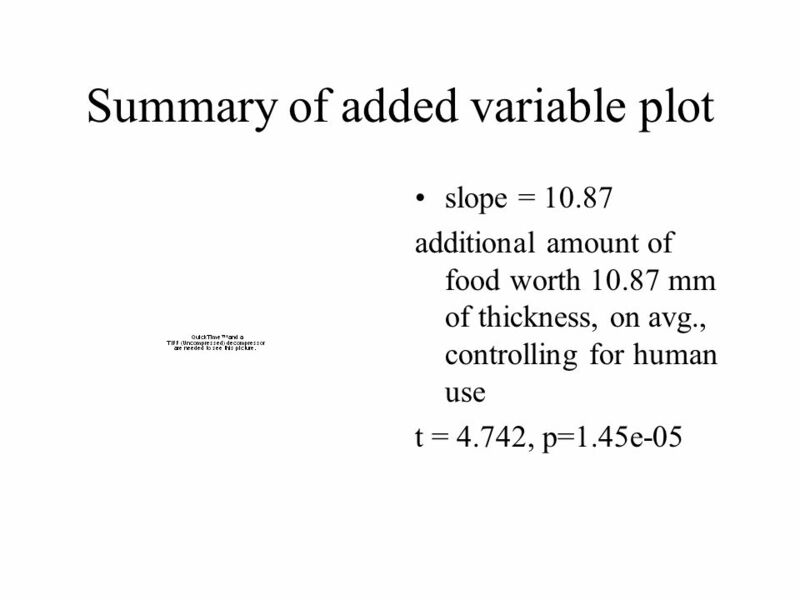 4/14/ lecture 81 STATS 330: Lecture 8. 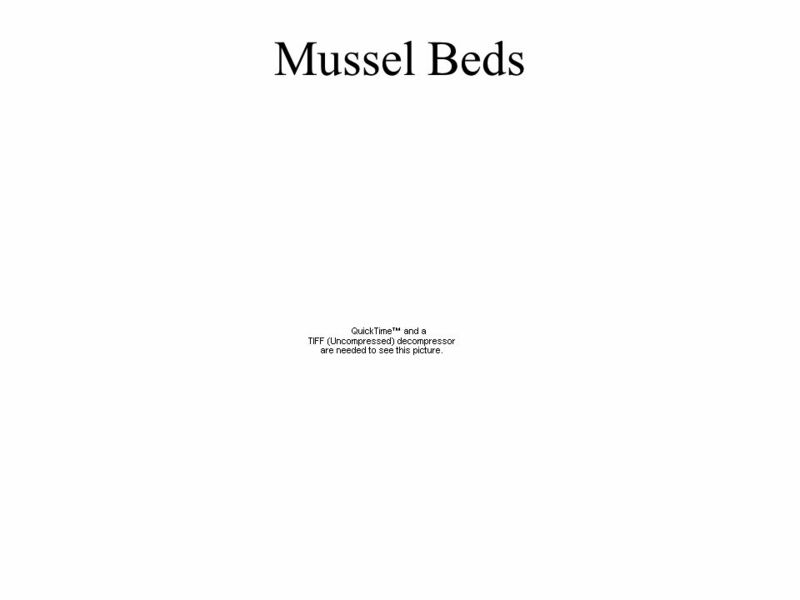 4/14/ lecture 82 Collinearity Aims of today’s lecture: Explain the idea of collinearity and its connection. Tests of Significance for Regression & Correlation b* will equal the population parameter of the slope rather thanbecause beta has another meaning with. 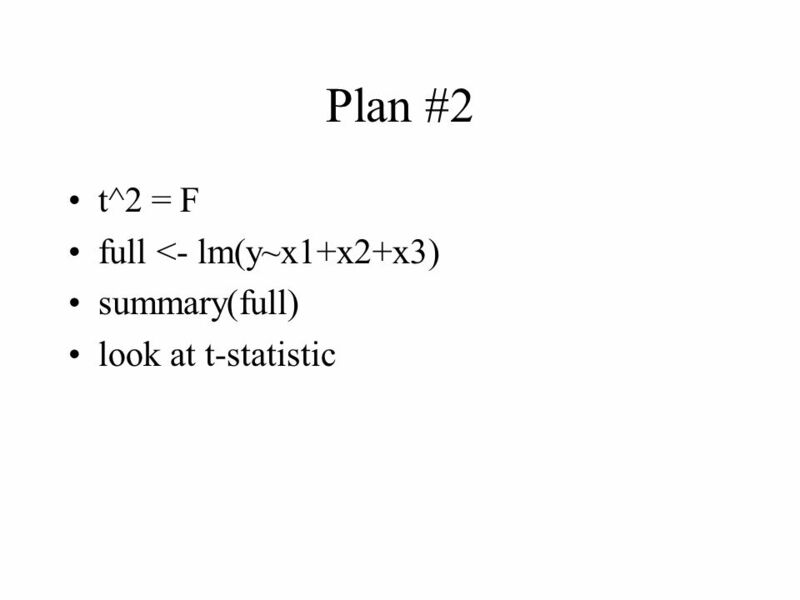 Stat 112: Lecture 7 Notes Homework 2: Due next Thursday The Multiple Linear Regression model (Chapter 4.1) Inferences from multiple regression analysis. 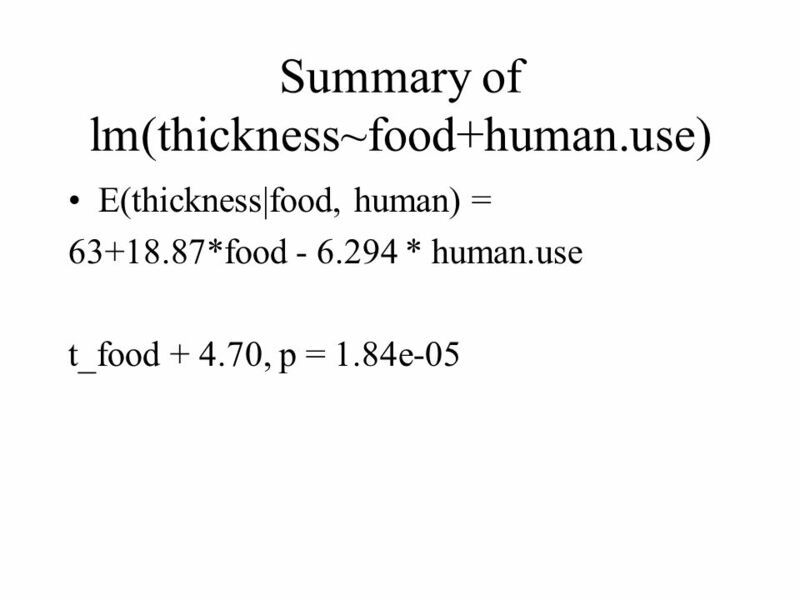 Topic 15: General Linear Tests and Extra Sum of Squares. Regression Analysis Once a linear relationship is defined, the independent variable can be used to forecast the dependent variable. Y ^ = bo + bX bo is. 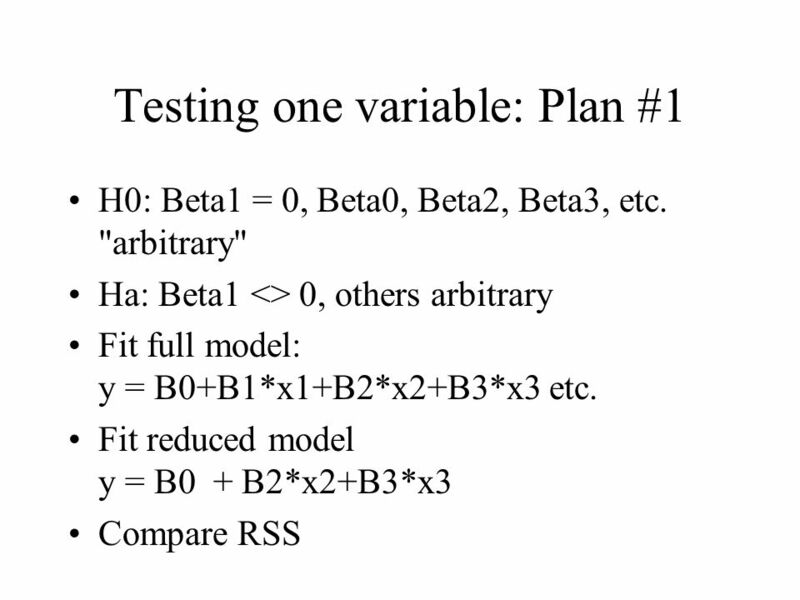 July 1, 2008Lecture 17 - Regression Testing1 Testing Relationships between Variables Statistics Lecture 17. Session 2. 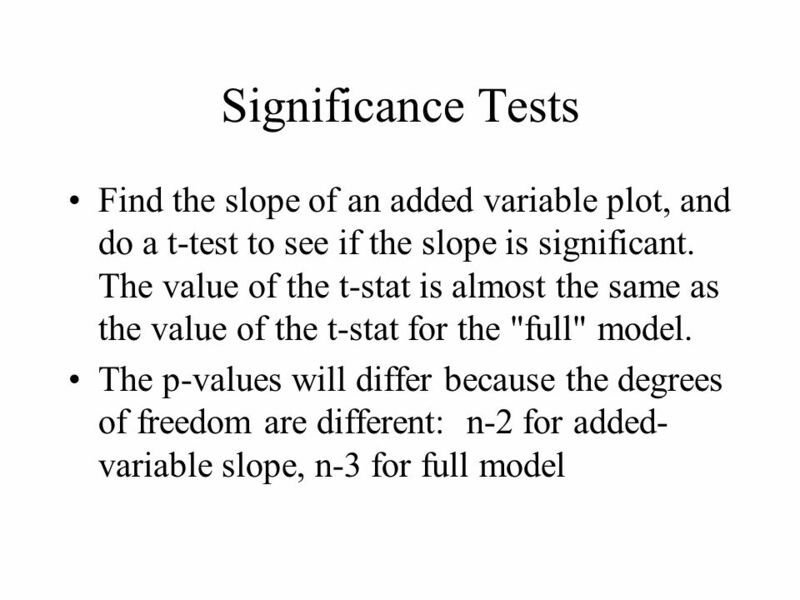 Applied Regression -- Prof. Juran2 Outline for Session 2 More Simple Regression –Bottom Part of the Output Hypothesis Testing –Significance. 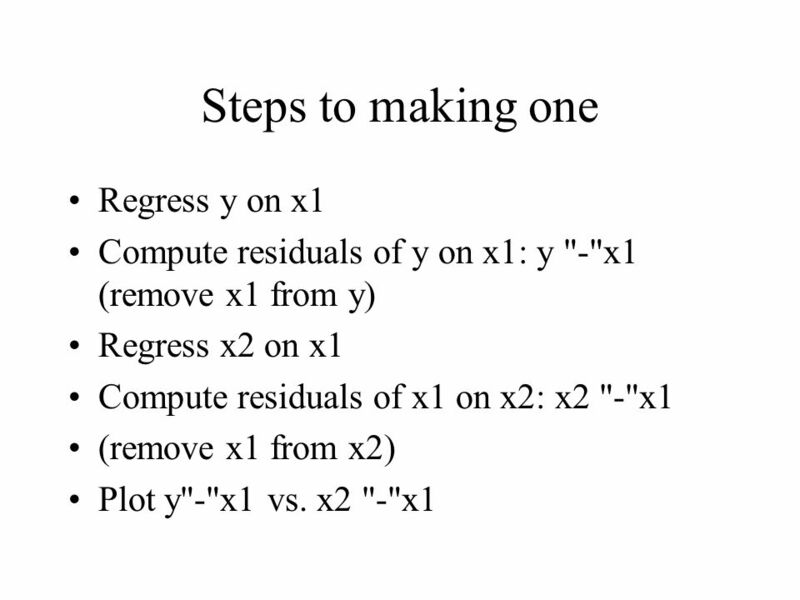 REGRESSION Want to predict one variable (say Y) using the other variable (say X) GOAL: Set up an equation connecting X and Y. Linear regression linear. 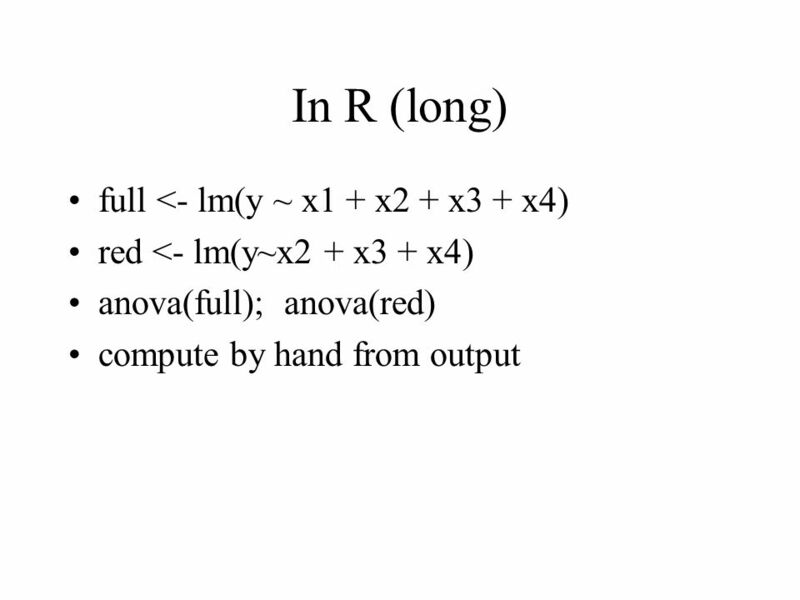 1 Chapter 3 Multiple Linear Regression Ray-Bing Chen Institute of Statistics National University of Kaohsiung. 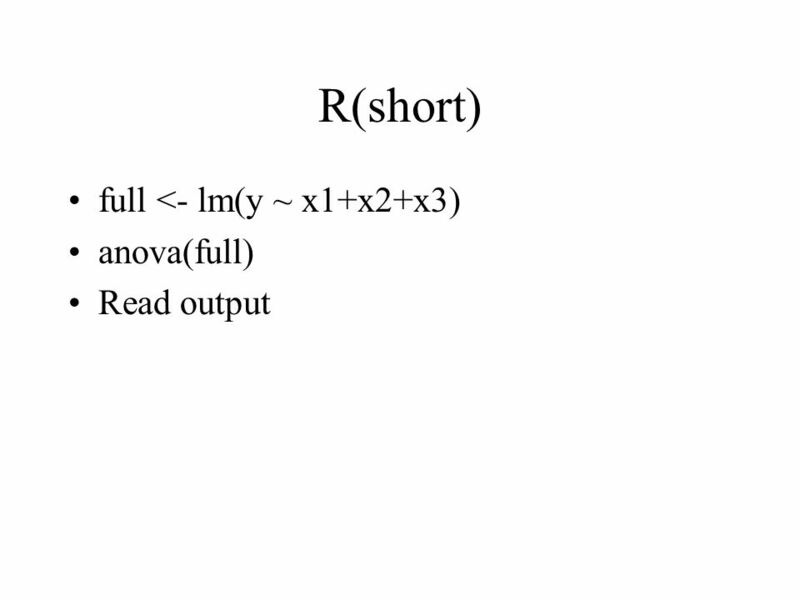 Analysis of Covariance Goals: 1)Reduce error variance. 2)Remove sources of bias from experiment. 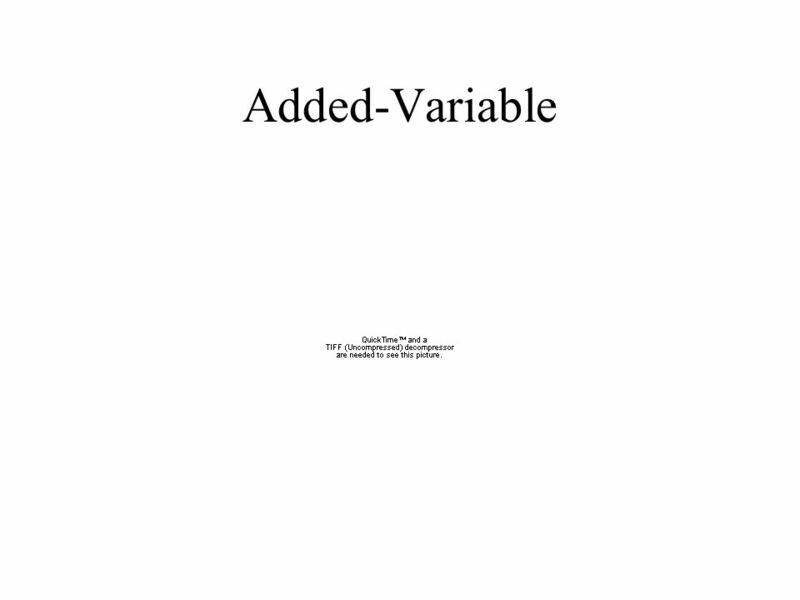 3)Obtain adjusted estimates of population means. Topics: Regression Simple Linear Regression: one dependent variable and one independent variable Multiple Regression: one dependent variable and two or.  Combines linear regression and ANOVA  Can be used to compare g treatments, after controlling for quantitative factor believed to be related to response.